Are you a fan of outdoor adventure? Then flashlight is a must in your backpack. Even though you’ll find a range of flashlights available in the market, but only a few are best in terms of performance, power, durability and portability. 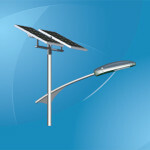 One such type of flashlight is LED Flashlight. Most of the people like to use LED flashlights outdoors when hiking, hunting or fishing. The strong and sturdy aluminum case, compact size, high brightness make them a perfect choice for outdoor use. Also, they are available in a variety of sizes just like regular flashlights. Most of the handheld LED flashlight models are extremely compact so that they can be easily carried over long distances without hampering the pace of your journey. In simple terms, LED flashlight is nothing but a small portable lamp that consists of LED lights and is usually powered by batteries. They provide several benefits over regular filament-bulb type flashlights. Whether searching for dropped keys or changing a car tire, brighter light is a blessing. Led flashlights are bright and offer high lumen output with incredibly minimal power consumption. A lumen is the measurement of total amount of light emitted by a source of light. More lumen means more light. LED flashlights have relatively longer bulb life – a 40,000 to 100,000 hours rated life-time. In contrast to filament bulbs, they’re practically unbreakable. Rather than creating a ring of light like the traditional flashlights, LED Flashlights are directional and more focused. Unlike traditional incandescent bulbs, LED flashlights do not produce harmful Ultra Violet (UV) radiation. Also, the infrared and heat emissions from LED flashlights are very less when compared to outdated incandescent bulbs. The most used type of LED flashlights is the portable or handheld type. All handheld LED Flashlight (except rubber case models) are built using a high-grade aluminum casing that’s capable of keeping the inner components dry and also away from any harm. The sturdy casing is designed to keep moisture and other substances from entering into the inner parts of the flashlight. It can be used even in heavy rain with no fear of malfunction. 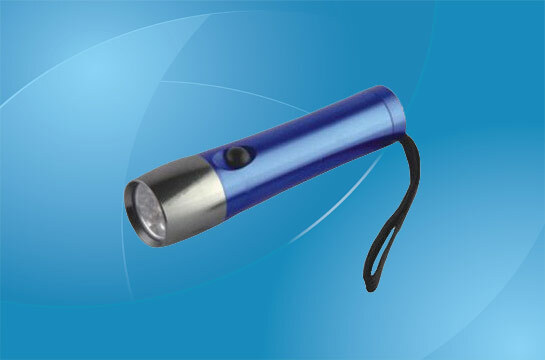 Typical handheld LED flashlights are usually the well-known cylinder type. They measure 8-10 inches in length and operated by C or D type of batteries. These types of lights include an adjustable/variable beam. They’re generally held in tool boxes, kitchen drawers, glove boxes, bedside tables and consoles on motorboats. They’re popular with repair workers, handymen and home owners. Smaller sized variants are also available and provide the same functions as larger types. The smaller portable LED flashlights are driven by ‘AA’ or ‘AAA’ cell batteries (some need specific batteries), and some models even feature AC-adapters to recharge power source. In most of the smaller variants, the lens can be swapped for low light usage. This particular feature is used often by military personnel who should practice ‘light-discipline’ during maneuvers, and with night time hunters. When the lights fade out, it’s really a scary thing. If you are living in a place where extreme weather conditions are a fact of life, then you should always keep your emergency survival kit ready. An essential component of any emergency kit is definitely an emergency LED-flashlight and is as vital as water and canned-food. While any type of LED flashlight can work in an emergency kit, there are several models that are created particularly for survival conditions. Shake and wind-up LED flashlights supply the same brightness as battery-run LED flashlights, but they’re built tough, sturdy and need no batteries or AC-adapter to work. 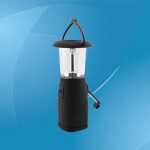 Wind-up and shake flashlights come in several sizes and are very economical as well. Some wind-up flashlights are included as part of a light or radio combination. These units not only offer a portable and efficient light source, but also the ability to access weather broadcasts and emergency news that give the important info needed during severe weather events. When you are taking that hiking adventure you always desired or out in the lake until night time after fishing, then LED flashlight will be your ‘guiding’ light back home. When your safety is concerned, put your trust in a LED flashlight that comes handy in any emergency situation.